NYC is Blue: ESPN FC: "David Villa to New York City FC"
We've known for some time that the club wants to make a splash with its Designated Players, and that the first signing could come as soon as before the world cup. Reports are breaking that the club has come to an agreement with Spanish striker David Villa. 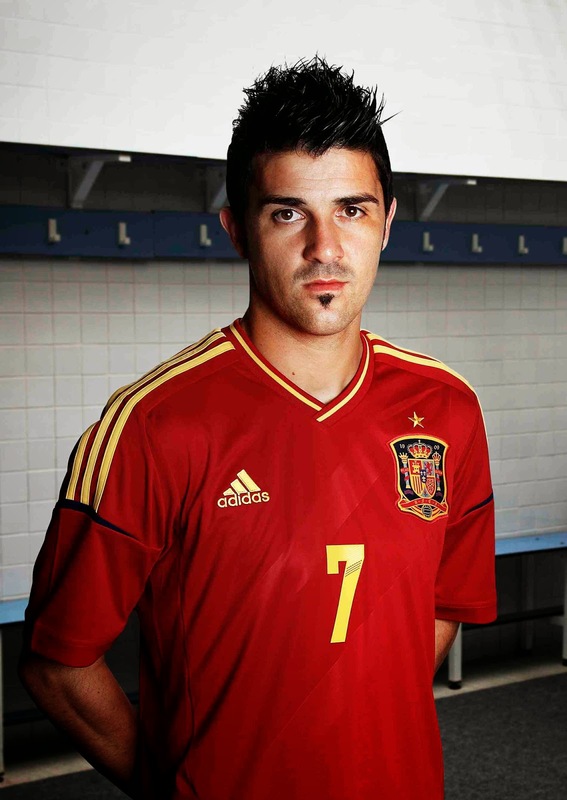 Atletico Madrid and Spain forward David Villa is headed to New York City FC, a source told ESPNFC.com. A source with knowledge of the deal confirmed that Villa is set to sign a three-year deal, though both the club and MLS have denied that an agreement has been completed. Various media reports have also confirmed the move. A club spokesperson stated via text message that, "The club has no agreement with any player." An MLS spokesperson echoed that statement. But a Spain-based source with knowledge of the negotiations confirmed that Villa would be joining NYCFC. New York-based agent Ron Waxman also indicated via Twitter that the Spain international was headed stateside. The deal to bring Villa to New York would mark the club's first signing since it was officially announced as an expansion team last year, and would constitute a considerable coup for the team. Villa is coming off a La Liga title-winning season with Atletico Madrid, where he scored 13 goals in 36 appearances, 32 of them starts. He has also had successful spells with Sporting Gijon, Real Zaragoza, Valencia, and Barcelona. He has scored 56 goals in 94 appearances for Spain, and was part of the teams that won both Euro 2008 and the 2010 World Cup. He was named to manager Vicente Del Bosque's provisional 30-man World Cup squad earlier this month. With NYCFC not slated to begin play until March of 2015, there is a question of what Villa would do until the season begins. During a interview earlier this month, NYCFC director of soccer operations Claudio Reyna indicated that a combinations of loans and short-term contracts would be used to keep the team's players sharp ahead of its debut season. Obviously huge news, if true. We'll soon see.